The CTM Pail Labeler is a heavy duty labeling system designed for use in industrial production environments where dependable, accurate and trouble free labeling of pails is required. 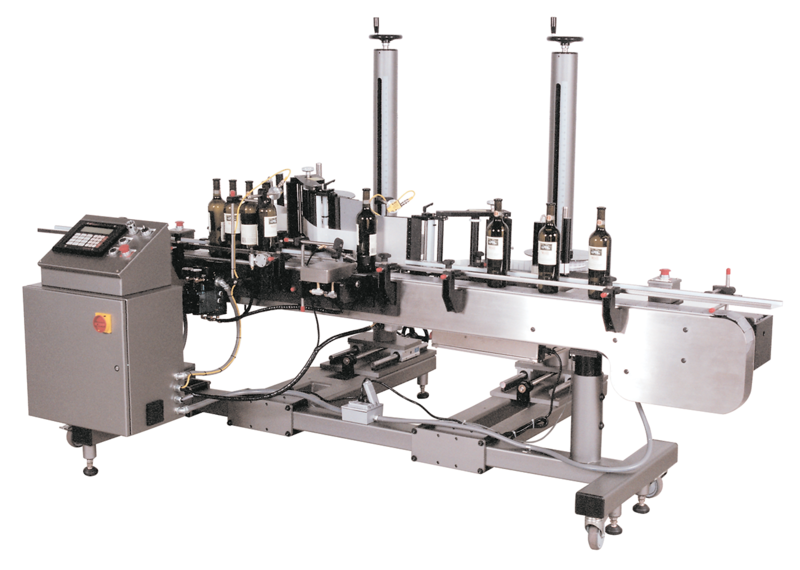 Pail labelers are available with either 360 Series labelers or 3600 Printer Applicators. Fanfold label supply and roll fed label supply configurations are both available. 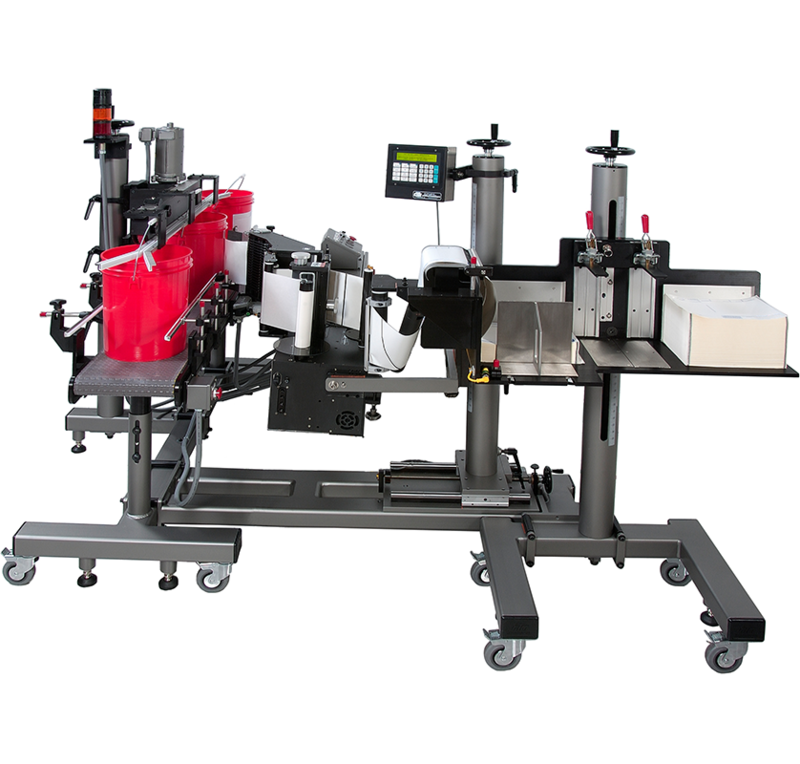 A Model 360 (apply only) or Model 3600 PA Series printer applicator is positioned “reels up” alongside the product conveyor and includes an air cylinder operated, tilt-out style, o-ring carrier grid to “wipe on” apply labels by contact. 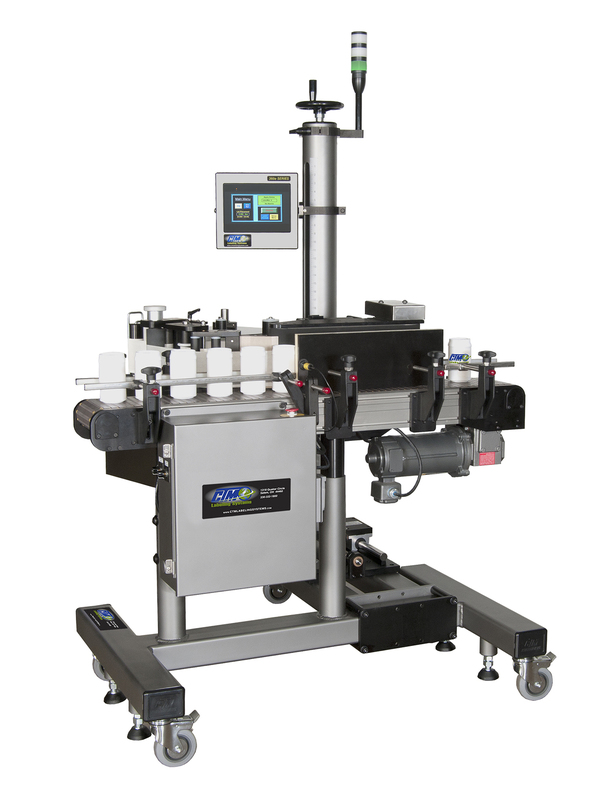 Attached to the labeler is an air cylinder operated, short travel, tilt-out vacuum grid, approx. 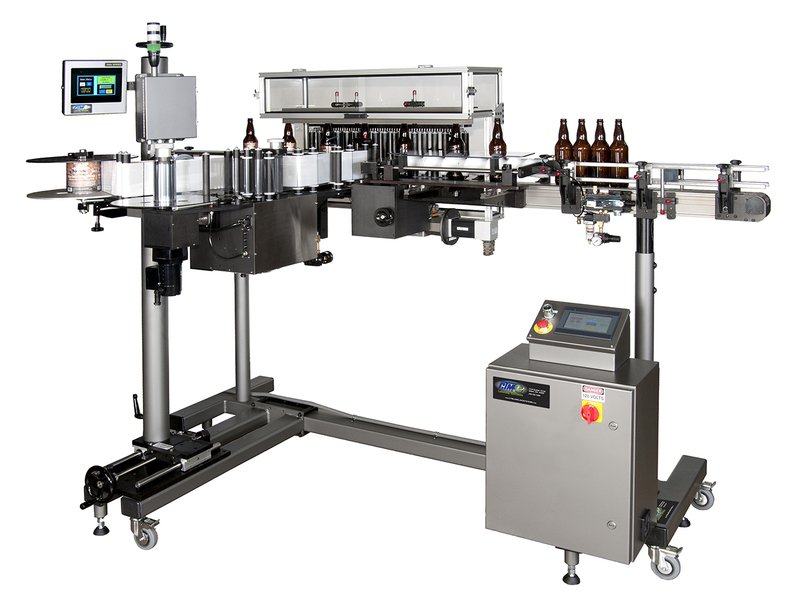 15″ in length, which incorporates several variable speed, stepper motor driven o-ring belts to assist and carry the feed of long, soft labels; muffin fans are used for vacuum generation to hold the dry side of the label against the o-rings to impart travel. A firm felt wiper impresser attached at the end of the grid is to contact the surface of the product to press on the label for initial attachment; the label is attached as it is pulled off the grid by the advancing product. 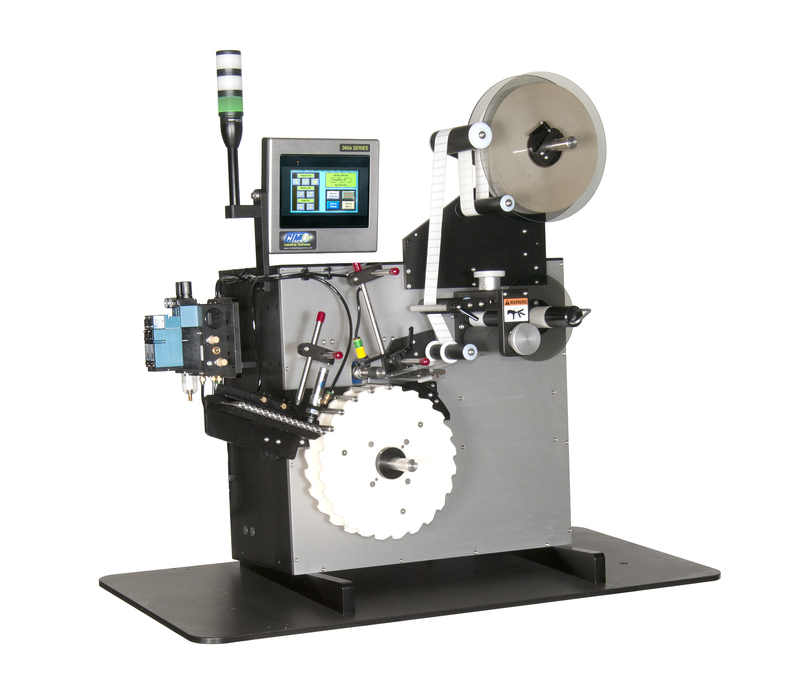 The motorized o-rings are moving during label dispense and are stopped when the leading edge of the label reaches under the apex of the felt wiper; a photoelectric label sensor determines the stopping position and is consistent even with varying lengths of labels. Closely spaced, parallel handle guide rails (for handles in vertical position) are mounted to just clear the top of each product to maintain in-line orientation keeping the products from rotating out of position during travel to the hold-down belt stabilizer assembly.